From X-Rays to wearables, better healthcare means peering deeper into the human body. Join Walter and guests Dr. Daniel Kraft, Reenita Das, Dr. Jeffrey Trent, Anne Wojcicki and Dr. Giselle Sholler as they explore how wellness is becoming more personal, and more proactive. Healthcare advances begin with the ability to see deeper and clearer into our bodies, our minds, and our genes. From Wilhelm Röntgen’s discovery of X-Rays in 1895, we’ve been on a never ending quest to find what lies inside, and what truths these insights tell us about our health, and ourselves. Today, imaging technologies, pattern recognition software, machine learning platforms, wearables and apps are making these insights cheaper and more widely available around the world – by quantifying the self, we’re improving quality of life. And, oh, how we’re doing it in unexpected ways now. Smart forks to monitor our eating habits, smart posture sensors to remind us to sit up straight. There’s even a Kardia – an EKG that can be administered via a small device synced to a mobile app. For less than $100. Forget wearing your heart on your sleeve – you can now see it on your phone. All these technologies gathering incredible amounts of data, making preventative treatment a reality for more people than ever before: We’re learning how to keep us well. Data is the new drug. Medicine is becoming more of a science than ever, and – in a service industry that you buy into without ever knowing the outcome – the scientific precision of the process is more critical than ever. That precision is best embodied by the mapping of the human genome, completed in 2003. What do we do with a code more than three billion letters long? In two words: Almost anything. Precision medicine is a living, breathing example of using data to treat the person – not just the disease. By analyzing DNA mutations, we can now create personalized, targeted treatment: for cancer, neurological disorders, heart disease. This radical reinvention of the way we approach healthcare hasn’t entirely found buy-in from medical professionals, but patient demand for greater control of their healthcare is increasing exponentially – especially amongst younger generations. We may be on the verge of the greatest disruption in the history of health and wellness. The first people to live to 150 are probably alive today – and they could be you. What if we treated humans more like cars? What does a pea plant have to do with precision medicine? Could you live to 150? At the Aspen Ideas Festival this summer, one of the hot topics was genetic engineering. I had the opportunity to talk with Jennifer Doudna, the UC Berkeley professor who helped develop the gene-editing technology, CRISPR. The idea behind the technology is the incredible power to fight diseases by changing an embryo’s genetic makeup if there is a certain propensity to a problem or disease. But this ability also allows us to do things we maybe shouldn’t do. It could allow us to make sure our children have stronger bones or maybe even make them taller. The question becomes, “Where do you draw the line?” When is it permissible to alter the genes in an embryo to change what the new child will be? Is it permissible to edit the germline, thereby altering the genetic makeup of not only the child, but every one of their descendants? I think that’s the type of dilemma that the new medical technologies are going to have us wrestling with in the next ten to fifteen years. If you’re interested in hearing more about this fascinating topic, check out the Aspen Ideas Festival session, where Doudna and I talk about her book, A Crack in Creation: Gene Editing and the Unthinkable Power to Control Evolution. 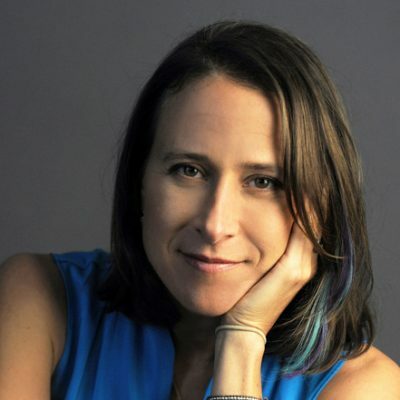 Anne Wojcicki Is an entrepreneur and co-founder and CEO of 23andMe. 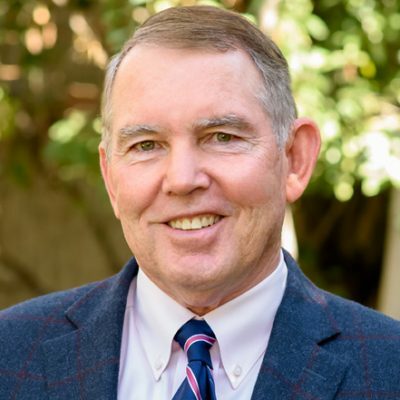 Dr. Jeffrey Trent Is the president and research director of the Translational Genomics Research Institute, or TGEN, in Phoenix, Arizona, an affiliate of the City of Hope. 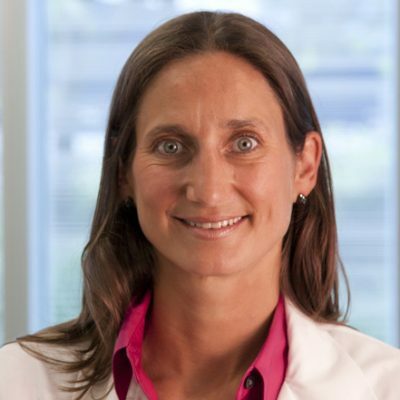 Dr. Giselle Sholler Is the director of the Haworth Innovative Therapeutics Clinic at Helen DeVos Children's Hospital. She’s also the director of the pediatric oncology research program there, and the chair of the Beat Childhood Cancer Consortium. Dr. Daniel Kraft Is a physician-scientist. He chairs the Medicine and Neuroscience Track for Singularity University and he’s also the founder and chair of Exponential Medicine, a program where we look at the future of healthcare through the lens of accelerating technologies. Reenita Das Is a partner and senior vice-president at Frost and Sullivan. She’s been in the healthcare business for the past 25 years, and helps companies globally explore growth opportunities and how to grow their business in this dynamic world. The year is 1970. The place, a small spacecraft drifting somewhere between the Earth and the Moon. This is a story that’s become legendary, thanks largely to the 1995 Ron Howard blockbuster, Apollo 13. OK, Houston, we’ve had a problem here. Uh, Houston, we’ve had a problem. It was a mission where everything that could have gone wrong, seemingly did, with an incredible ending that saw the crew defy all expectations and return to the earth safe and sound. But just because they were safe didn’t mean that they were healthy. While up in orbit, lunar module pilot Fred Haise developed a severe urinary tract infection. It was largely caused by bacteria that had reacted violently when exposed to the low gravity conditions of space. The result was a ton of added misery to an already stressful situation. But just because Haise was 200,000 miles above the Earth, it didn’t mean he was without medical support. His condition was being monitored closely by a team of doctors down here on Earth. Doctors who were constantly monitoring all of Haise’s critical data. Haise, along with the rest of the crew, was required to wear a series of bio-sensors that tracked his blood pressure, body temperature, as well as electrocardiogram and respiratory waveforms. And then all that information was sent on the long journey back down to earth and into the hands of NASA physicians. It was perhaps the most extreme example of distance medicine that the world, or for that matter the solar system, had ever seen. And while this was not only important to the Apollo missions of the 1960s and 70s, it was also a model for the future of medicine. Our future. Medical data that can be collected and transmitted 24/7, leading to personalized health care and preventative solutions. Something that not only has the potential to disrupt the entire health care industry, but also has the potential to enhance our entire lives. A promise that might just redefine how we care for our own bodies. I’m Walter Isaacson, and this is Trailblazers, an original podcast from Dell Technologies. – The care of communicable diseases requires special techniques. – The hospital is always ready to help. – Each patient presents a different personality. – X-ray gives the doctor the inside information. – You’ll be given a thorough medical examination. he noticed that a fluorescent screen nearby was glowing. That was the moment Röntgen had stumbled upon a new kind of imaging. Beams that could penetrate solid objects. Not knowing what the energy was, he named them x-rays, borrowing x as a mathematical designation for the unknown. Soon, he thought to grab some photographic paper to capture imagery left by these rays. And on December 22nd, 1895, he took one of the world’s most significant and revealing pictures. An x-ray of his wife’s hand, complete with the wedding ring. The process of this first x-ray was not an easy one. It required his wife to remain motionless for about 90 minutes as radiation passed through her hand. But it was a success, and within a year early adopters in Glasgow Hospital used this new x-ray technology to capture the image of a kidney stone, and a penny lodged in a child’s throat. Fast forward about 60 years, when captains of industry in the 1950s were imagining the ultramodern hospital of the future. One complete with state of the art x-ray machines, and a sky’s the limit price tag. – This is the last word on a combination x-ray machine and fluoroscope, imported from Holland at a cost of $25,000. Every portion of the body through 180 degrees can be photographed. In today’s money, that same $25,000 x-ray machine would be equal to nearly a quarter of a million dollars. Indeed, this medical utopia didn’t come cheap. Today, imaging technologies combined with pattern recognition software and machine learning platforms, are turning patients and health care inside out. And through portable, phone-based apps, they can be considerably less expensive. A brain scan kit provides your EEG for under $200. An electrocardiogram app might cost half that. For under $2000, you can own a handheld ultrasound scanner, with smartphone interface. This falling cost of medical technology, combined with new, portable, digital devices coming to market every week, is contributing to an enormous shift towards democratization in health care. 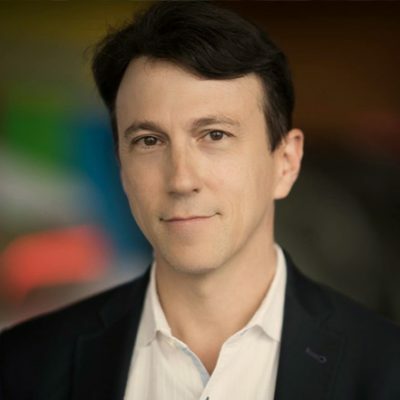 Dr. Daniel Kraft is the Chair of Medicine and Neuroscience at Singularity University. – We can take these technologies and mail them around the planet and give them access to health care, to folks who normally would have it. You can be in a rural village in Rwanda, or Lagos, or rural California, and have some of the tools and technologies that only the best hospitals had on location a few decades ago. So it’s an exciting era to catalyze and democratize health care, not just think about making it more expensive, and less accessible. – Medical information your clinician used to have to glean from a battery of tests and questions, now can be gathered and conveyed remotely in real time using apps and wearable devices. While hospitals and clinics will still need to perform surgeries and provide in-person care, the data used to treat and prevent illnesses can now be gathered and monitored just about any where. Call it the era of home-based, smart diagnostics. A far cry from the health care imagined by the great industrialists who in the mid 20th century were accustomed to thinking big. Big buildings, big machines, big budgets. – The answer to a doctor’s prayer. A half century later, the world’s tech entrepreneurs would teach the world the value of thinking small. For instance, wearable tech. What today’s med-tech wearing computers lack in size, they make up with their impact on health care. Medical apps, virtual coaches, and sensor based diagnostics are taking over the gathering and dissemination of medical data, helping prevent the need for doctors visits and hospital stays. So what’s exciting just about now, is, you know, with a lot of data geeks like myself who might wear, you know, a new generation Fitbit, or Apple Watch, or have mattress sensors that track sleep, or your connected scale, or blood pressure cuff– that’s sort of the quantified self world. A lot of the data geeks you can look at that on your phone, and chart your own information. But what’s getting exciting, is we can now connect that data and send it directly to your clinician. Wearables such as Fitbit track your activities, calorie burns, and sleep patterns. Smart clothing uses sensors to monitor vital signs of an expectant mother and her fetus. That same mother may soon rely on TweetPee, a diaper sensor that tweets the caregiver that it’s changing time. The internet of medical things includes smart forks to monitor your eating habits, smart toothbrushes, smart shoes, even a smart posture sensor that can remind you is sit up straight. All of these devices are gathering huge amounts of data about the user. They’re contributing to the practice of preventative medicine. Reenita Das writes about health care transformation for Forbes. What we’re looking at is really a model, not of sick care, but really of health care. How to keep people well. So it’s reversing everything that we knew. Data is becoming the new drug. For the last 200 years the drug was whatever pharmaceutical companies or medical device companies developed in terms of chemical compounds or devices. But today data is going to become the king in the world of medicine. It’s a data gathering model that could see us wandering around the world with a variety of sensors warn or otherwise attached to us. Sensors that in many ways are not dissimilar to the types already in place on modern cars. You don’t need to peek under the hood to know your engine is overheating. The sensors attached to your car will give you that information before it’s too late to do something about it. As Daniel Kraft puts it, if preventative data collection technologies work on cars, why not on people too? Hopefully what we’re going to head to is an era like our modern cars– which have 200 or 300 sensors in them– that we have our own sort of personal check engine lights. That say, hey, it’s Daniel’s time to change your oil, or you’re about to blow a gasket. Time to go check in with your mechanic, your physician, early before you end up having that engine problem or you crash into a tree. And I think that’s the potential for this internet of medical things. This ability to diagnose problems before they start is a revolution in the way medical treatment will be prescribed. And that’s an understatement. We grew up to know that medicine was a science. But actually, that’s not true. Medicine is not a science. Because it’s almost 50% of medicine is accurate. The rest of the 50% of medicine is really based on hearsay, gut feel, the experience of the doctor who’s actually treating you. So if you actually look at it, health care is the only industry– and it’s a service industry– where when you buy the service, you really don’t know the outcome. You don’t know if you’re going to get better. You don’t know if you’re going to get sicker. Whether you’re going to have a side effect. Or, you just have to live with the problem. If you just think of it, that’s the problem today. And I think that is where the change is happening. Where people are being monitored every single day when they’re well, when they’re not well, so that you can see the differences. In 1990, a project with the lofty goal of mapping human DNA was launched. It was anticipated that the project would take 15 years to complete. It was called the Human Genome Project, and it saw teams of scientific explorers ready themselves to change the world. Dr. Jeffrey Trent was scientific director of the National Genome Research Institute. He explains how a combination of government funding and private sector competition fueled the project’s success. – One of the real positives about the Human Genome Project was it was an effort that entailed hundreds of laboratories across dozens of countries that was sponsored by about, we had estimated, $5 billion of our tax dollars would be needed to get the first genome finished. And we estimated that it could take as long as 15 years. This is one of the few projects that was ahead of schedule and under budget. So it only took 10 years, instead of 15, it only cost $3 billion of our tax dollars, instead of $5 billion. So the rare government project that was ahead of schedule and under budget. In 2003, the Human Genome Project was finally declared complete. But what would it all mean? That’s probably exactly what Gregor Mendel was asking in the 19th century. A Moravian Friar, Mendel discovered the fundamental laws of genetic inheritance, after eight years of experimenting with pea plants. Mendel was able to track the segregation of parental genes in their appearance IN the offspring, expressed as dominant or recessive traits. When first presented, the importance of Mendel’s work was largely lost on his audience. – My time will come! Mendel reportedly told a friend. But sadly, it wasn’t to happen during his own lifetime. It would take several decades for Mendel’s findings to get rediscovered and take their place in history as the beginning of the modern study of human genetics. What father Mendel planted in the 1800s, would, and will, have massive implications for 21st century health care. The tiniest DNA flaw can have enormous consequences. Jeffrey Trent. The human genome, which is our, our blueprint and personal instruction manual, is about 3 billion letters in length. So, if we printed without cheating on an 8 and 1/2 by 11 piece of paper, it would reach as tall as the Statue of Liberty– over 200 feet. And a single letter misspelled on a single page of all of those documents is enough for causing some diseases and disorders. So what do we do with a code 3 billion letters long? The potential data that can be mined from a string like this, is massive. And not just for use by the medical community, but for all of us. All it needed was for the right idea to come along and capitalize on it. And that’s where Ann Wojcicki enters the picture. It was like, wow, we– like we figured out the code inside all of us, and now we have no idea what it means. And, to me, it was, you know, that to me is like the most exciting breakthrough of our lifetime. In that, we have this secret code inside of us, and we don’t know what it means and we’re going to get to figure out what it means over our lifetime. And I found that the two elements of the system were missing– that the consumer was not represented in health care, and that this super exciting discovery about the genome within all of us and what it means and how it impacts our health and actually how we should potentially ever be mistreated, it wasn’t being optimized. Combining the potential of genetic mapping with the credo of consumer empowerment, Wojcicki founded 23andMe. It’s a company that delivers personalized genetics testing direct to consumers. It was an idea that was not only inspired by the findings of the Human Genome Project, but also by the HIV epidemic of the 1980s when grassroots communities came together to help battle the deadly disease. And I wanted to start a company that, in large part, was actually inspired by what I saw the HIV community did. And I wanted to be able to crowdsource. Bring together millions of people who all came together who are similarly interested in them– in themselves, and want to advance the knowledge about health care and prevention and how to stay healthy and how to effectively treat themselves. And that us is a community, that we would actually rise up and we would be the voice of the consumer in health. Despite its rebellious roots, 23andMe doesn’t shrink from conventional marketing channels. You can go into Target, CVS, and Sam’s Club, etc., and get it. You can get it on Amazon as well. It comes in a little box, there’s a tube inside, you spit in the tube, you mail it back to us through normal mail, and anywhere from four to six weeks later we send you an email that says welcome to you. When done properly, personal genetic information can lead to real insights. You might learn that you’re genetically predisposed to breast cancer, or diabetes. It gives the consumer power over their own medical data. But bypassing medical professionals has led critics of the company to worry about the danger of individuals being handed medical data without proper context. Regardless of the critics, one thing Wojcicki and her team have shown, is that there is strong demand for what they offer. As of June 2017, over two million customers have used the service. The ability to gather and access genomic data has led to an era of personalized information available at our fingertips. But it’s a trend that’s not just limited to the medical field. It’s everywhere. Reenita Das. Now we have personalization in every industry. You know, the music you hear on your iPhone is very different to the music I hear. Similarly, the movies I see is very different. How I read today, and the news I read is very different from what everybody else does. The car I drive is different from the car you drive. So why is it that in health care there’s a one size fit all model? With great minds, the right resources, and enough cloud based computer power, personalized precision medicine is already changing lives. Dr. Giselle Sholler is chair of the Beat Childhood Cancer Consortium– a group of 40-plus research centers and children’s hospitals. Precision medicine is really trying to understand each person’s tumor individually. Everyone’s tumor is different, and trying to understand what is the DNA in that patient’s tumor, and how is that translated into making that tumor grow and divide. By understanding the biology of the patient’s tumor, we can specifically choose drugs that will target what’s making that person’s tumor grow, and create personalized treatment plans for each patient. The theory behind precision medicine is that no tumor is the same. Through a collection of medical data, the oncology team becomes empowered to treat the very individual needs of each patient. And in Dr. Sholler’s case, her patients are children. It’s a calling that came to her during her days as a med student. I was motivated to go into pediatric oncology really through my experiences in medical school, having done a rotation in pediatric oncology, and really being drawn to the patients and their families, and the medical care that it took to really wholly take care of these patients. And then, through a fellowship I was treating three patients with neuroblastoma– which is the cancer that I focus on primarily– and at that time two out of three patients passed away from neuroblastoma. And really going through that with the families motivated me to want to make a difference, and to change that outcome for childhood neuroblastoma. Seeing children pass away that is very challenging to experience. And then not trying to change that outcome, really just continuing on with our current protocols and therapies, knowing what the outcomes would be, was not what I wanted to do. I wanted to say if I was going to stay in pediatric oncology, try and change those outcomes. Precision medicine is a living, breathing example of using data to treat the person, not just the disease. Once a patient enters the program, an online board is convened among dozens of clinicians across the US. They discuss the patient’s case, the genomics, and the DNA mutations that they see. Together, they create a personalized, targeted treatment. Just as an example, we had one patient who has a very rare brain cancer diagnosed at four months of age. And received brain surgery, and then chemotherapy for almost a year, with significant side effects. At the end of the year, my partner, Dr. Cornelius, offered this family our precision medicine study and asked if they’d like to participate in that. They were ready to go home on hospice, and said that, you know, that’s fine. You know, let’s sequence the tumor, and see if there’s options. But we don’t want to be in the hospital anymore, and we want to be home with our three-year-old, at that time. And we were able to identify four oral medications that the family could do at home. The child’s never been admitted since. Then, actually, was treated with the precision medicine for three years, and has been off, actually, close to eight months now. And doing great. And, you know, this is a child otherwise that wouldn’t be alive right now. And not only did the precision medicine and understanding the patient’s tumor better help us to find the right treatment for her, it also gave her better time with her family at home. While precision medicine is not a cure for cancer, when combined with the right data the results can be undeniably powerful. When we first started doing this– five years ago or so– what we were hearing from even other oncologists in the community, telling families that oh this is just false hope. They’re providing false hope. And it’s amazing to me what that can mean to a child of a family with an incurable cancer. I think hope is very relative, and whether we– obviously we hope for a cure– but even if we can hope to stop the disease, or hope to give the child more life with their family, you know, precision medicine is doing that right now. While treatments like precision medicine may be showing results, radical thinking like this still accounts for only a small portion of the health care available today. Almost 15 years after cracking the genetic code, Jeffrey Trent sees many medical professionals still being slow to embrace the new science. Over 20 years ago the DANA Foundation– this was over 20 years ago– did a study to say, for physicians in general, how comfortable are you in delivering genetic information back to your patient. And fewer than one in 10, 20 years ago, were comfortable. Now, the DANA foundation repeated that about two years ago. And with all the information, with the completion of the genome more than, now, almost 15 years ago, when they ask again the physicians in practice, how comfortable are you delivering genetic information to your patients, that number was one in 10. The exact same number as 20 years ago. The good news is the change in everyday health care, preventative medicine, and medical information. All that data is moving away from hospitals and practitioners and insurance companies and into the hands of the patient. Ann Wojcicki. If you want to take care of yourself, you actually have to step up and take care of yourself. You can’t be the passive observer that just waits for everyone to tell you what to do. And I think that was part of how I was raised, that was part of how my physicians taught me to behave. Like, no one cares more about your health than you. And so, you actually then have to step up. Daniel Kraft concurs. He sees your role changing to that of copilot. Working with your doctor. It’s up to each of us, potentially, to be those catalysts, to be the innovators. Not waiting for your doctor to prescribe you some new whiz bang, Jetson technology, but to start taking the ones, like a connected blood pressure cuff, if your mom or dad or grandmother has hypertension. And the future of this type of thinking, may be received most readily by some of our youngest. 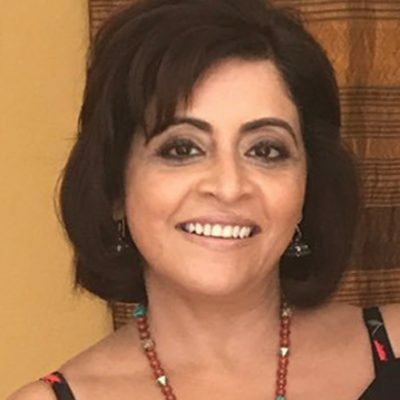 Reenita Das. We have a new generation of people that are coming up into the system which is the whole generation of the millenniums. The millenniums are going to shape health care in a very different way compared to the baby boomer population. The Millennium population are uses of Amazon and Uber. They’re completely based on convenience. They want instant gratification. And they want everything personalized to themselves. They want health care delivered on their own terms. We may barely have begun to experience the full force of digital disruption in 21st century health care. New technologies, especially in genomic medicine, are raising no end of questions about ethics and privacy. Data gathering through apps, wearables, and DNA mapping, may rewrite the economic model of a health care system geared more to reacting to illness than preventing it. Medical professionals, traditionally trained as scientists, are learning to become technicians as well. Technology is enabling patients to shed their role as consumers, and become partners and advocates in their own health care. It’s been said that the first person to live to 150, is alive today. It’s a safe bet that her great, great, great, great, great, grandchildren, won’t recognize the health care she was born to. 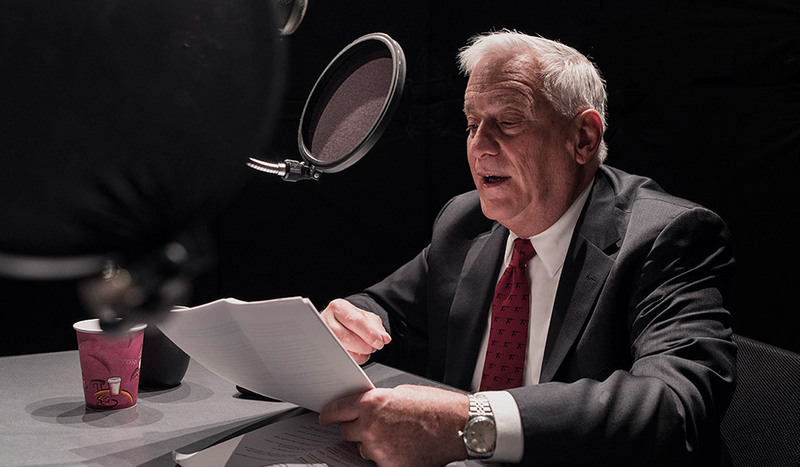 I’m Walter Isaacson, and this is Trailblazers, an original podcast for Dell Technologies. If you enjoyed this show and want to read more about my personal thoughts on the future of health care, visit Delltechnologies.com/trailblazers11. That’s trailblazers, then the number 11. Next episode, we’ll be looking at the automotive industry and its biggest disruption yet– the era of the self-driving vehicle. You can subscribe to Trailblazers in Apple Podcasts or wherever you get your podcasts. And if you like it, please leave us a rating and review. It helps new listeners discover the show. Thanks for listening.